The light of the sun pours through the window. Sitting in meditation, the Philosopher absorbs the light in its reflection on the floor. He reflects on the light of consciousness, readying himself to ascend the spiral stairway to enlightenment. 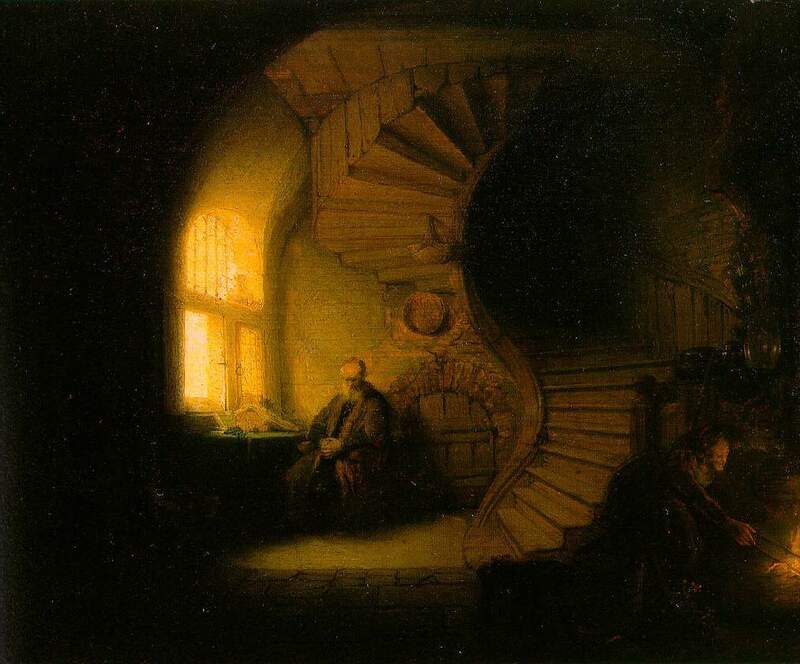 The Philosopher is an archetype, akin to the Wise Old Man. But what is an archetype? And how can we use them to elevate our consciousness, support our development, and increase our achievements? Plato may be the first philosopher to refer to archetypes. He called them Forms. For Plato, there were two realities: the world we live in and the non-physical realm where the Forms exist. These Forms, for Plato, are pre-existing ideal templates or blueprints. They include characteristics like roundness, softness, hardness, greenness, blackness, and so on. Forms is another term for archetypes. In modern times, psychiatrist Carl Jung made us aware of archetypes. He saw archetypes are the fundamental units of the human mind. Jung describes archetypes as the forms or images that occur all over the earth. These images find their way into ancient religions, myths, legends, and fairy tales. We find evidence of archetypes in our dreams, fantasies, and behavior. Every character in both our personal dreams and collective myths is an archetype. 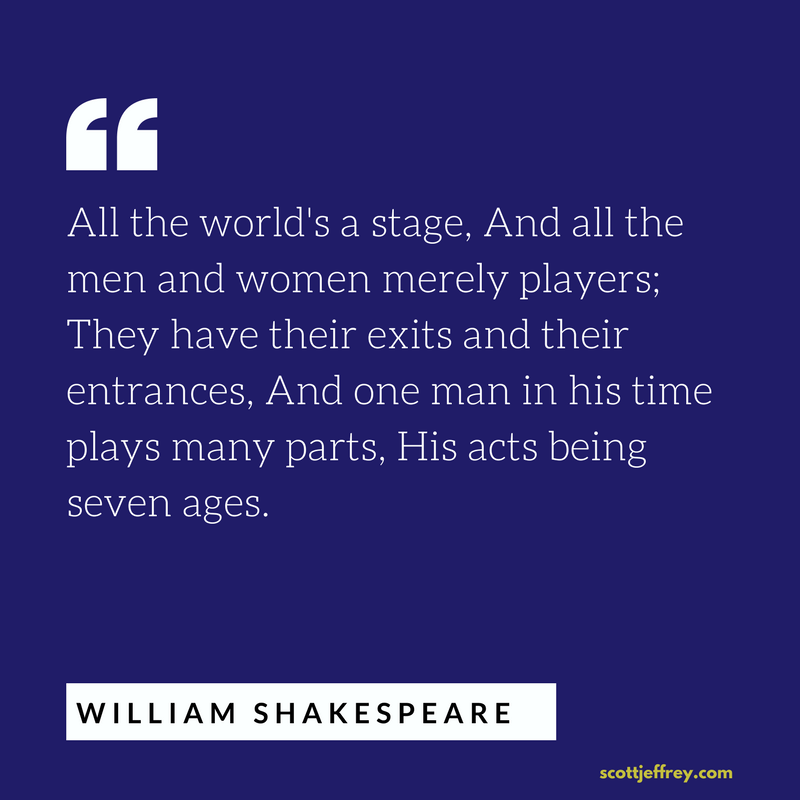 We can observe archetypes in the characters of the stories we read, the films we watch, and the plays we attend. Archetypes are pervasive throughout the arts, media, advertising, and pop culture. They influence our relationships and interactions with others and ourselves. But ultimately, every word or image represents an archetype. They are everywhere. Archetypes are the secret forces behind human behavior. Because archetypes reside in the unconscious—the part of our minds we aren’t aware of—they influence us without us knowing it. Archetypes are influencing everything you do, think, and feel. And they are influencing everyone around you in a similar way. Through the exercises in this guide, you can get to know the archetypes expressing themselves through you and others. You can learn the patterns that influence most of human behavior. This differentiation is important because when you can separate yourself from an archetype, it’s less likely to influence your behavior in deleterious ways. Let’s review three of the roles archetypes play in our lives. How do archetypes influence our behavior? Instincts are like biological urges. When we trigger an instinct, it activates a pattern of behavior like running a software program on your computer. Because these patterns are pre-existing, archetypes are predictable. No matter what image of the Hero you hold in mind, for example, certain patterns of behavior and personality traits arise like bravery, valor, persistence, and action. So when you think of archetypes, think set patterns of behavior shared by all of humanity. When you experience an emotion, it is the emotion of an archetype. Different archetypes evoke different emotions. Lovers are passionate. Kings are magnanimous. Warriors are courageous. Sadists are hateful. Every human being has an inner world. It’s the home of our fantasies, imagination, and emotional life. This inner world is the source of personal meaning. Archetypes tap into the emotions of our inner world and give life a sense of personal meaning. Archetypes provide a powerful way to understand our minds. We tend to think of the mind as a singular unit. “My mind” assumes a unified sense of self (or I). But a careful examination of the mind shows this view to be incorrect. Instead of the mind being singular, it’s plural. A pantheon of archetypal characters exists in our minds. Various forms of therapy seek to integrate these archetypal characters. They each have a different language to describe them. By whatever name, we come to see our minds as a collection of these semi-autonomous personalities, or archetypes. We are no longer single beings in the image of a single God, but are always constituted of multiple parts: impish child, hero or heroine, supervising authority, asocial psychopath, and so on. Think of a film or TV show you watched recently. Now consider that all of the characters in that story—not just the hero or protagonist—are operating in your mind. They are all within you. We begin to see how complex our minds are and the hidden, often opposing forces influencing our behavior. Sigmund Freud is the father of psychoanalysis. Freud was 20 years older than Carl Jung. Early in Jung’s career, Freud was a kind of mentor and father figure to him. Jung thought they should name their emerging field psycheanalysis, that is, an analysis of the human mind, soul, and spirit. Freud, however, opted for psychoanalysis, the study of psychotic, crazy, or mentally ill people. This decision helped set the direction of psychology for the next century. What did Jung see that Freud didn’t? To Freud, his patients were mentally ill, while he as an analyst was mentally sound. Jung, with greater humility, realized he was in the same mental condition as many of his patients. Jung saw that all of us were fragmented, divided, and ruled by unconscious forces. Now, we associate hearing voices in our heads with being “crazy.” This stigma hinders our ability to get to know the archetypes within us. The question isn’t whether you have voices in your head. The real issue is whether you’re conscious and receptive enough to hear them. Our goal in working with archetypes is to bring the forces of the unconscious into balance with our conscious mind—to integrate the archetypes to come to psychic wholeness. Galadriel, also called Lady of Light and Lady of the Golden Wood, is a character in J.R.R. Tolkien’s The Lord of the Rings. This character, played by Cate Blanchett in the films, represents the archetypes of the Earth Mother, Mother Nature, Goddess, and the feminine expression of the Self. This archetype is powerful, dark, wise, and intuitive, able to peer into the hearts of men. She is not separate from nature and the earth; she is part of it. In fact, she is one with the flow of all life. Although we don’t like to admit it, as a whole, human beings are mostly unconscious. We remain unaware of our real motivations—what drives our actions, emotions, behavior, and decisions. We are also unconscious to the emotions expressing themselves behind the social masks we each present to each other. Most of the methods we use to change our behavior—from neuro-linguistic programming to cognitive behavioral therapy—have limited results. They affect change of certain behaviors under certain conditions. But remove those conditions, and they always fail us. These methods fail because they rely on the premise we can train the unconscious. The belief is we can condition these primal forces to obey our conscious will. We do not take into account the complexity of the human psyche and the persistent nature of these archetypes. Let’s say you’re addicted to eating junk food. You manage okay during the day, but when you’re home in the evening, the impulse to consume salty snacks gets triggered. We assume this is a battle of willpower: our base desires of our animal brain against our higher self or cerebral cortex. But we don’t appreciate why this impulse gets triggered. When you know about archetypes, you can train yourself to listen to their voices. If you do, you may learn why these impulses occur. A voice, for example, might say you’re pathetic, worthless, a loser. It might suggest you have no reason to live. Now, we don’t hear these voices for two reasons. First, we don’t know how to listen to them. Second, they are often unpleasant, and they make us feel bad. And so our mind represses the voice. Instead of feeling depressed, we seek to elevate ourselves, to feel good. We instantly crave a dopamine kick. The impulse to consume salty snacks, in this case, gets triggered. Only when we can hear the voice of these archetypes and learn to dialogue with them, can we get to the problem’s source. In this example, a part that feels like a pathetic loser. Everyone battles with impulse control in one form or another. Addictive behavior is an area of tension for almost everyone. We invest lots of energy trying to exert our willpower, restricting ourselves, or feeling ashamed of our weaknesses. We work to establish better habits, improve ourselves, and achieve peak performance. But ultimately, what undermines are conscious intention to be a better person are the archetypal forces within us. We can save a lot of time and unnecessary anguish by addressing the issue at the source. Archetypal psychology is a powerful way of getting to know your psyche. It’s also a means of understanding the motivations of others. The more you can identify the archetypes in others, you more you can see the patterns of behavior within yourself. Conversely, the more you can witness these behavioral patterns in yourself, the more understanding you’ll have for others. The ancient Greeks were the last civilization that appreciated the power of archetypes. The Greeks called them Gods and Goddesses. In ancient Greece there was an understanding that one was required to worship all the Gods and Goddesses. You might have your favorites, but none of the remaining deities could be ignored. The God or Goddess whom you ignored became the one who turned against you and destroyed you. So it was with the Trojan war. So it is with consciousness work. The energy pattern that we disown turns against us. Our need to understand and work with archetypes is greater now than at any point in human history. Why? In past generations, humanity had rich mythologies and rituals designed to maintain psychic order. That is, the ancient rituals of the past—those of which modern people perceive to be archaic—maintained a balanced relationship with archetypal forces. Many scholars from Joseph Campbell to Robert Moore speak about the need in modern times to establish rituals that organize and evoke the archetypes in constructive ways. Let’s review four different ways to approach archetypal psychology. The goal of these “integrative therapies” is to liberate yourself from being dominated by archetypes and abide in the Self. The Self is an organizing principle within our minds that maintain balance or psychic order. You can access this Self when you’re in the Center—in a state of mastery. Jung offered two tools for navigating the archetypes of the unconscious: dream work and active imagination. Dreams are one way the unconscious speaks to us. But dreams don’t communicate in a direct, logical manner. They communicate to us in symbols. And these symbols represent archetypal forces. One way to connect to your subpersonalities is to think of each dream figure as an actual person living inside you. The goal of Jungian psychology is to integrate certain archetypes, leading to the Archetypal Self, or God within. Active imagination is Jung’s other way of getting to know the archetypes. In dreams, you dialogue with your parts passively while you sleep. Active imagination, in contrast, requires your conscious participation. Here, you dialogue with the parts of your unconscious in your imagination. Jung prescribed active imagination for people overwhelmed with too many dream images. Jungians also use it to support dream work. It is best to write out the dialogue you have during active imagination as it helps to bring the unconscious material further into consciousness. If you’re interested in a concise, detailed instruction on how to use dream work and active imagination, Robert Johnson’s Inner Work is the best and most accessible book I’ve found. We are not unified; we often feel that we are, because we do not have many bodies and many limbs, and because one hand doesn’t usually hit the other. But, metaphorically, that is exactly what does happen within us. Several subpersonalities are continually scuffling: impulses, desires, principles, aspirations are engaged in an unceasing struggle. Recognition: A subpersonality emerges through some inner conflict or dream image. Acceptance: You have a willingness to work with this subpersonality. Coordination: You manage the relationship between multiple subpersonalities. Integration: You resolve the conflict between the subpersonalities, establishing cohesion. Synthesis: You discover of the Transpersonal Self beyond the subpersonalities. As in Jung’s inner work, the goal of psychosynthesis is unity consciousness in contrast to a family of disjointed subpersonalities. The most accessible book I’ve found on psychosynthesis is Piero Ferrucci’s What We May Be. IFS is the most modern and perhaps most robust system for working with subpersonalities to date. Robert Schwartz, a psychologist with a background in family therapy, developed IFS. He was working with numerous patients who all spoke of voices in their heads telling them to, for example, overeat and then purge. At first, he thought he was dealing with multiple personality disorders. But after inquiring how these patients heard these voices, shocked, he heard them too. These voices, or parts as they call them in IFS, play characteristic roles that help define a person’s inner world. All of these parts, Schwartz recognize, constellate around a wise leader, called the Self. The Self is mature, loving, compassionate, curious, and kind. It can heal and integrate the various parts. Here’s an outline of the IFS model. IFS is a comprehensive system with a rich language to help you understand your psyche and work with your subpersonalities. For a step-by-step guide to using IFS, see Jay Earley’s Self-Therapy (audiobook). Regardless of which method you use, the process is similar. You get to know your subpersonalities through dialogue. When did you first meet (name of person)? What was going on? Rowan also says it’s important to give the subpersonality a name, as it helps if you want to go back to him or her later. Archetypal Psychology is still in its infancy. All of the above integrative therapies were designed for trained professionals. And there are certified training for all of them. You take the time to learn a system. Consciousness/cognition is necessary to work with your parts. You are mentally stable and grounded. If you don’t meet these criteria, seek professional guidance. I have used all of the above methods over the past five years. However, I worked with several qualified IFS practitioners initially to gain confidence in my ability as I continued to do the inner work on my own. We use the mind to get to know what’s inside the mind. And archetypes are inside the mind. Can you see why it’s challenging to work with archetypes? Only the Self—your psychic center—can organize the mind. And yet, the Self is often unavailable because archetypes command our attention. Taoist and Buddhist psychology explain the situation with the concept of the host and guests in a house. The house represents the psyche. The guests are the pantheon of archetypes within this house. These guests are mostly ill-mannered. They are often nasty to each other; they don’t play well together. The host’s job is to establish order and harmony within the household. The problem is that, for most of us, there’s no host to keep order. We need the host (Self) to bring order to our psyche. This host doesn’t have feelings; it doesn’t judge or evaluate. The host is clear, neutral, and empty. It’s unaffected by the thoughts and feelings of the guests. So before you engage in any psychological work, especially archetypal psychology, it’s important to ground yourself and find your center. If you enter a state of mastery first, you can navigate through the characters in your mind. If you don’t, the guests remain in control of your house. See The Mastery Method for an effective technique for entering a state of mastery.